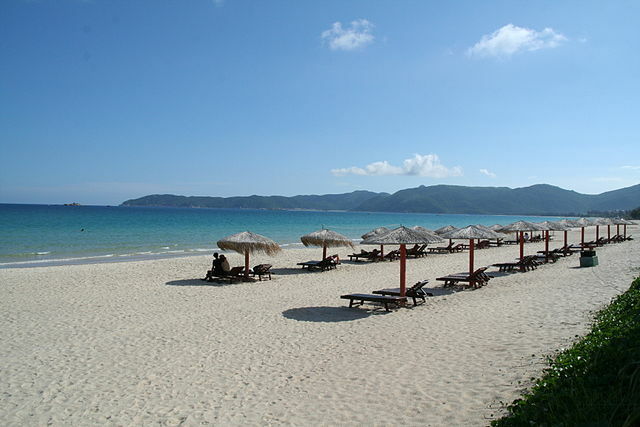 Hainan is an island province in the South China Sea off the southern end of Guangdong Peninsula. The Capital City is Haikou; it is also the biggest city in Hainan province. Tourism is a big business here. There are actually over two hundred islands in the three archipelagos off the southern coast of China. Sanya, a city located off the southern coast in a favorite tourism destination. The climate in Hainan is nice and tropical with a monsoon rains heavy in the mountains. Its a beautiful island with lots of scenic attractions to explore. The island has lots of coconut palms and lush vegetation. Nashan Park is a lovely place to explore with numerous Buddhist temples, gardens and figures of Buddha. The beaches are among the most beautiful in the world with fresh air from the sea. Yachting is popular here with many magnificent yachts enjoying the region. In the Capital City of Haikou there are dozens of important historical and cultural attractions. The Five Officials Temple is one of the favorites. Yalong Bay National Resort, Seven Finger Mountain, Hot Springs, Phoenix Island, Monkey Island, Nanshan Temple, Luobi Cave and Xiangshui Bay Scenic Area.